The Fluids Make Dolomite: The limestone “birth place” rock is converted to a dolomite rock. 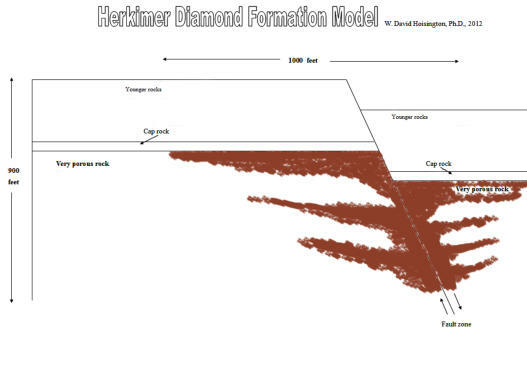 After the first dolomite event, dolomite was part of the crystal forming process that made Herkimer diamonds, and crystals of dolomite may have been forming and dissolving during the making of Herkimer diamonds. Note! The fluids in this mineral system flow both vertically and horizontally.